I’m writing to invite all of our neighbors to join us for our Grand Opening Celebration of East West Bernal on Wednesday, August 26, from 5:30pm-8:00pm. We’re located at 406 Cortland, in the space formerly occupied by The Integral Body. 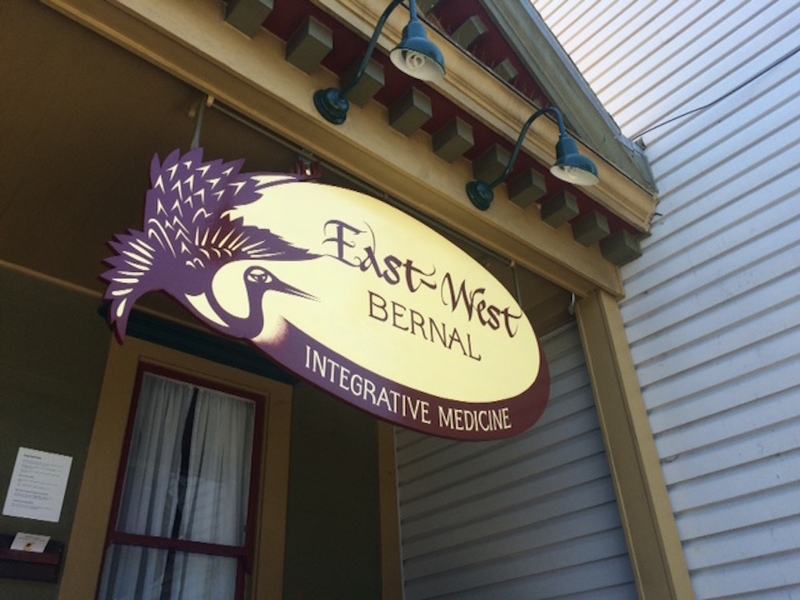 This is a second location for East West Integrative Medicine, which is an acupuncture and massage therapy clinic that’s been in business for over 12 years on Chenery St in Glen Park. Marnie McCurdy and her experienced team of acupuncturists, massage therapists, and homeopaths will be available to provide free sample treatments and demonstrations throughout the evening. Mini massages, pulse readings, ear seed acupuncture, and refreshments will be offered on an ongoing basis. At 6pm and 7pm respectively, we’ll offer a Kombucha class and a Jin Shin Jyutsu demonstration. Come check out our space, meet our team, get a free treatment… We look forward to meeting our neighbors and providing Bernal with the best in health and wellness services. I saw an abandoned red scooter next to the Caltrain tracks on southbound king at. right after it crosses 4th street. Not sure what the plates were. Will check on my way home today to see if its still there. Not sure how that’s relevant to this post at all, but I had a red scooter stolen from in front of my house back in February. Can you post a pic somewhere or the plate info?